Why Toyota Industries Commercial Finance? 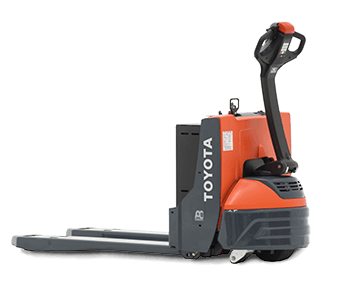 Let Toyota Industries Commercial Finance Become Your Forklift Financial Partner! Toyota’s finance company offers a variety of loan and lease products and programs to help get you the equipment you need at an exceptional value. And no one understands forklift equipment financing like “TICF”, which allows them to deliver you the best options and rates! A RETAIL INSTALLMENT LOAN, the “traditional” financing of the purchase of equipment, is the perfect alternative to paying cash, while allowing full responsibility of ownership. A CLOSED-END “OPERATING” LEASE allows you the right to use the equipment typically without the full cost of ownership. (In addition to other amounts, lease payments take into account an end-of-term residual value, which help reduce the monthly payment). It also offers you cash management flexibility in the structuring of lease payments, and… lease payments may be deductible for federal income tax purposes. A CAPITAL LEASE (Bargain or $1.00 Purchase Option) is a lease with characteristics of a purchase agreement, typically providing for a purchase option at nominal or below-market price or providing a very minimal residual (also known as a Conditional Sales Lease). It’s an alternative to paying cash and to a Retail Installment contract, while providing the ability to purchase the equipment at the end of the lease for a nominal amount. 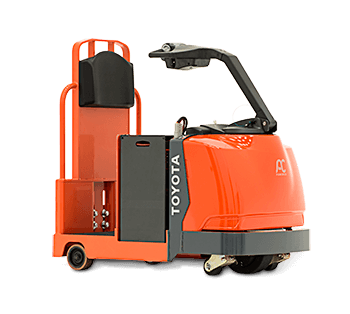 Toyota Industries Commercial Finance (TICF) makes it easy and affordable to get the right equipment for the job! 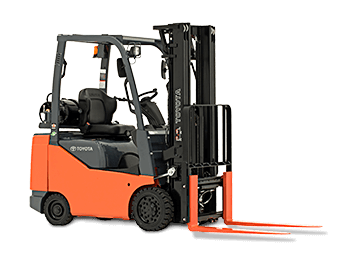 Whether you need an internal combustion forklift, an electric forklift or a narrow aisle solution for your warehouse, Toyota Nationwide Lift Truck’s financial experts and TICF can help. Let us develop a program for you, so you can focus on your operations – not on financing! Maximize Equipment Use – Leasing enables the customer to maximize the use of their equipment typically without paying for the full cost of ownership. Fixed leasing terms and payments give the customer the ability to forecast fleet replacement cycles. At lease termination, customers can return the equipment and replace with new equipment. There is no need to worry about selling the equipment or negotiating trade-in values. Cash Management – Generally leases allow for little or no money due at lease signing as compared to financing the equipment through a retail agreement. Monthly lease payments will typically be lower than if the equipment are financed. Capital Budget Constraints – Leases may allow customers an alternative to capital budget investments to obtain additional equipment. Flexibility and Convenience – Leasing is a very flexible and convenient method of acquiring the “use” of equipment to meet the ever changing needs of the customer’s business. Depending on the lease agreement, various options to purchase or renew for an additional term at the end of the contract give the customer the flexibility to customize the lease structure to meet their needs. If the customer’s business needs change, the customer may arrange to return the equipment at the end of the lease or has the option to purchase. Various tax benefits may apply for your leased equipment. (Please consult with your tax advisor for details). Posted on October 26, 2017 October 26, 2017 Leave a comment on Why Toyota Industries Commercial Finance? SAFETY FIRST! PRODUCTIVITY, A VERY CLOSE SECOND! 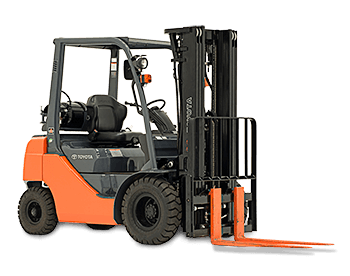 Still leading the industry in safety technology, no other lift truck brand offers a system comparable to Toyota’s SYSTEM OF ACTIVE STABILITY™ (SAS). 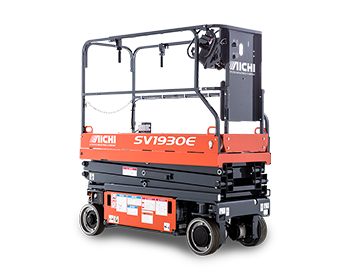 With more than 250,000 SAS-equipped Toyota lift trucks in operation in North America and Toyota’s proven record of lift truck safety, you can feel confident knowing your operators are utilizing equipment that sets the industry standard in safety. 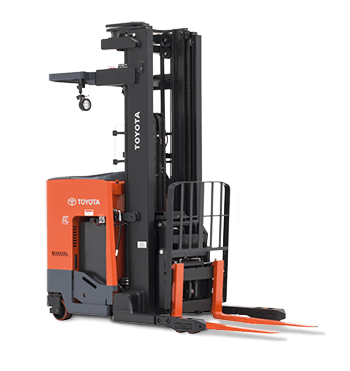 Toyota’s SAS System electronically monitors and controls the lift truck’s operations to help reduce the risk of tip-overs. SAS is composed of two systems: the active control rear stabilizer and the active mast function controller. Whether it’s your most experienced driver or an employee’s first day on the job, every lift truck operator faces the same potential hazards. 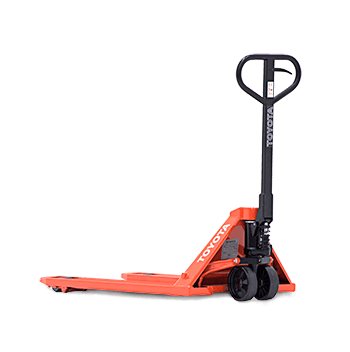 The most serious of these are tip-overs that occur when a lift truck takes a corner too sharp or too fast. Fact is, if the center of gravity shifts outside its three support points, or stability triangle, wheels can lift and it can tip over. Toyota’s ACTIVE CONTROL REAR STABILIZER helps reduce that possibility. When it senses instability, Toyota’s SAS uses patented technology to instantly lock a hydraulic cylinder on the rear axle to widen the lift truck’s support area, changing the lift truck’s stability footprint from triangular in shape to rectangular. The resulting increase in lateral stability reduces the likelihood of a lateral overturn. So even if operators misjudge the load or the speed or sharpness of a turn, the system helps keep them safe on all four wheels. Now that’s the kind of technology, or job security, every operator can use. 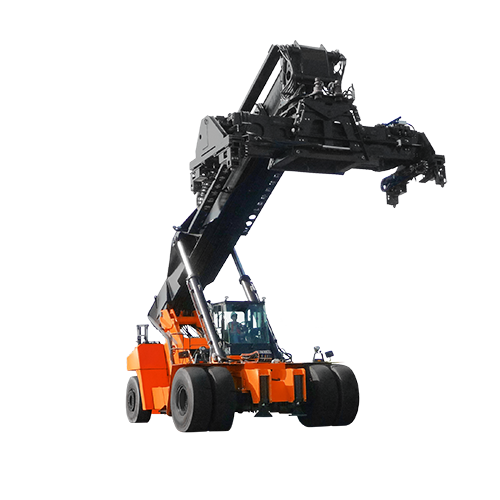 When operating a lift truck’s mast, the slightest miscalculation can have significant repercussions. “Just a touch more,” often thinks the operator. But a touch too much can sometimes lead to a serious accident. Toyota’s ACTIVE MAST FUNCTION CONTROLLER is uniquely designed to provide features that help operators handle loads at high heights. When the SAS controller senses potential instability, two systems are activated to help reduce the chances of forward or rearward tipovers: forward tilt angel control and rear tilt speed control. FORWARD TILT ANGLE CONTROL will sense load weight and mast height, then automatically override the operator’s manual control and limit forward tilt to decrease the chance of spilling a load or tipping the lift truck forward. Moreover, depending on the fork’s height, it governs reverse tilt speed to help prevent cargo from becoming unstable at the various heights. 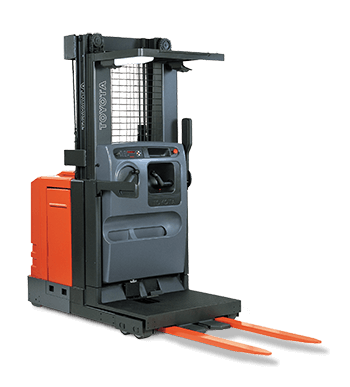 But that’s not all, the AUTOMATIC FORK LEVELING CONTROL takes the guesswork out of handling pallets for new and seasoned operators. Now, all they have to do is press a button when tilting forward and the forks automatically level themselves. The SAS OPERATION MONITOR continuously checks and reports on the status of its systems. In addition, an indicator light informs operators when the Swing Lock Cylinder is engaged, making them aware of the SAS’s role in maintaining stability. No other manufacturer in the world offers SAS technology. It is, perhaps, the only innovation capable of helping to reshape the way you think about lift truck safety and productivity. And it’s available on Toyota lift trucks. These innovative features, however, in no way override the value of sensible employees, professional training and strict adherence to safety regulations. But they certainly provide you with more ways to create a safer environment. Posted on October 26, 2017 October 26, 2017 Leave a comment on SAFETY FIRST! PRODUCTIVITY, A VERY CLOSE SECOND! Just being good enough is not okay! But it’s not just the technological advances… it’s TOYOTA CORE VALUES that help make Toyota Forklifts great! 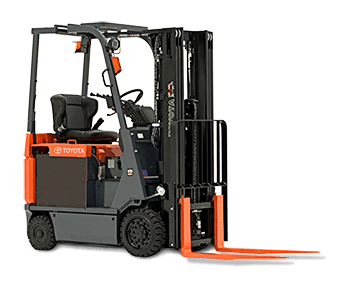 Toyota associates are dedicated and proud to manufacture the best forklift on today’s market. Their core purpose means pouring their hearts into every forklift that comes off the line and, in turn, improving the world around them one product at a time. This video captures the heart of Toyota Industrial Equipment Manufacturing’s determination to build a better forklift every day.